Receiving aid with daily tasks can make a significant improvement in the quality of life for Indiana seniors. 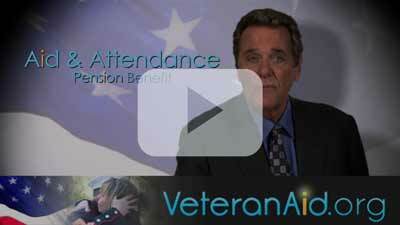 For those who served the country bravely, the Veterans Administration Aid and Attendance Pension program is available to help make this level of improvement a little more attainable. Eligible Indiana vets and their surviving spouses can qualify should they need aid in various activities for daily living (also known as ADLs). These tasks could include rudimentary functions like dressing, bathing, eating, transportation for errands and appointments, and medication management, although it should be noted that eligible applicants don’t need to require aid with everything in order to qualify. A&A recipients can also utilize these funds to help pay for costs associated with home care, skilled nursing home care, or assisted living. The application process to receive A&A benefits can be a lengthy one, as it can take several months to complete. However, approved applicants will receive retroactive benefits that can go back to the original application date. And should you get confused or need assistance with this process or obtaining veterans benefits in general, Indiana has several resources that can help you along. Indiana Department of Veterans Affairs (IDVA) offers the state’s veterans a wide array of services that include assisted living homes, legal aid, assistance with VA claims, and more. The organization also works with Veteran Opportunity Partners to help vets and their families with various forms of advocacy. For more information, visit www.in.gov.dva. There is some variance in assisted living facilities. The facilities that are located in larger cities like Indianapolis will be ideal for those that still want to be close to metropolitan perks such as restaurants, shops, and cultural activities. On the flip side, those who prefer the quiet nature of suburbia may gravitate toward an assisted living community in a bedroom community, where parks and familiar chain retailers rule the day. What does assisted living cost in Indiana? According to data culled from Genworth’s 2016 Cost of Care Survey, the average cost of assisted living in Indiana is $42,330 per year, which is just below the average nationwide cost of $43,539. This price tag translates to a monthly cost of $3,528 and a daily cost of $116. Precise costs will vary based on the city and the region that the facility is located in. The state’s annual home health care costs check in at $44,616 for homemaker services and $45,760 for home health aide services. It also represents a substantial savings in comparison to Indiana’s nursing home care costs, which can break down to an annual cost of $76,650 for a semi-private room and $91,980 for a private room. Veterans and their spouses that do qualify for the A&A Pension Benefit can utilize the benefits they receive to help cover the assisted living costs. The benefit can provide upwards of $1,794 per month to a vet, $1,153 per month to a surviving spouse, or $2,120 per month to a couple. A veteran that files with a sick spouse can be eligible for as much as $1,410 per month. IDVA operate a wide variety of programs that are designed to provide support and service to the state’s veterans. These include e-mail updates on local services and events, housing services, and specialized support programs. Indiana is also home to several intriguing military-themed points of interest and tourist attractions which are scattered throughout the state. These attractions are ideal places to visit for seniors on an assisted living field trip, on a visit with family, or just a day out on their own. Several of these spots also invite veterans to serve on a volunteer basis, which in turn allows them to share their firsthand stories and unique insights with younger generations. Indiana’s state capital, Indianapolis, is filled with several unique museums and points of interest geared to honoring the history of the country’s military past. The most impressive of these is the Soldiers’ and Sailors’ Monument, a 284-foot obelisk in the heart of downtown Indianapolis that pays tribute to the common soldier. The city’s Indiana War Memorial Museum is not too far away from the monument, and is home to various artifacts, artillery, and exhibits, including those dedicated to the legendary World War II warship the USS Indianapolis. If you head outside the city, you can visit special venues such as the Indiana Military Museum in Vincennes, home to a very impressive collection of wartime aircraft amongst other memorabilia.